BP has confirmed the start of production from one of the seven Upstream major oil and gas projects that it expects to come online in 2017. Five of these seven projects have now started up. Juniper in Trinidad follows the start-up earlier this year of the Trinidad Onshore Compression project. Gas production from Juniper began on schedule and under budget. The largest new project to start up in Trinidad for several years and BP’s first subsea field development in Trinidad, Juniper is expected to boost BP Trinidad and Tobago’s (BPTT) gas production capacity by around 590 million standard cubic feet a day (mmscfd). 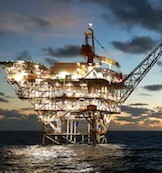 The development produces gas from the Corallita and Lantana fields via the new Juniper platform, 80 kilometres off the south-east coast of Trinidad in water approximately 110 metres deep. Gas then flows to the Mahogany B hub via a new 10km flowline. Juniper is BPTT’s 14th offshore platform in Trinidad.